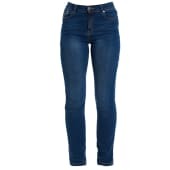 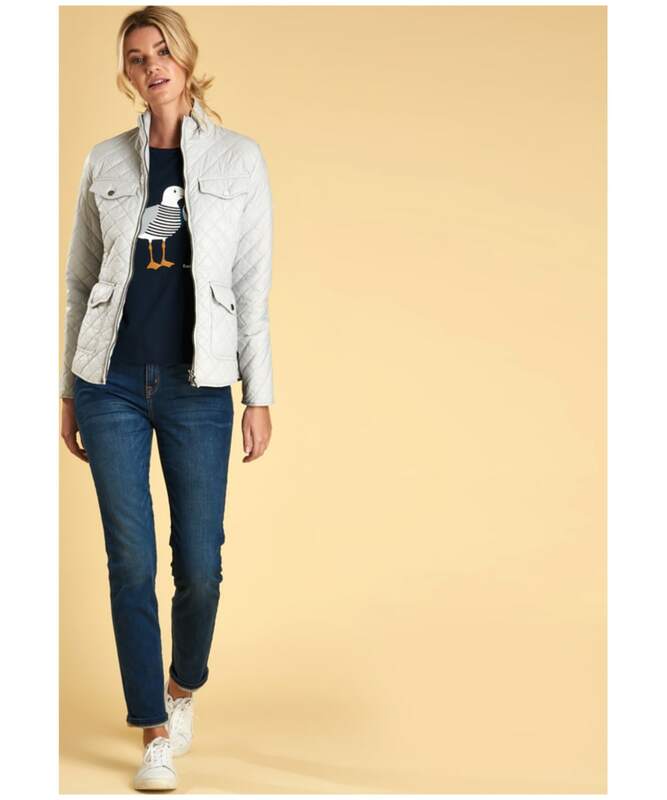 Rated 5 out of 5 by Reading from Great lightweight jacket I was looking for something practical (warm and light) but also not too casual or sporty. 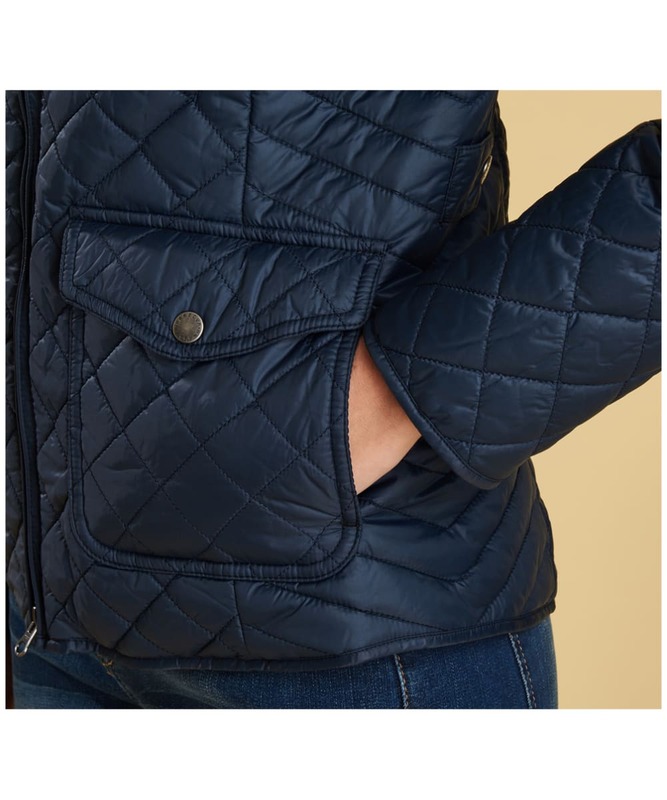 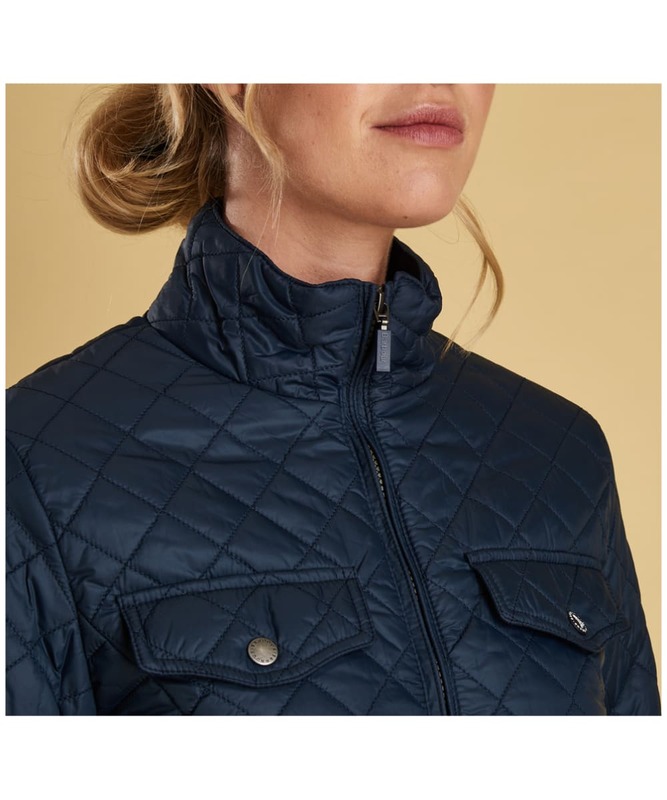 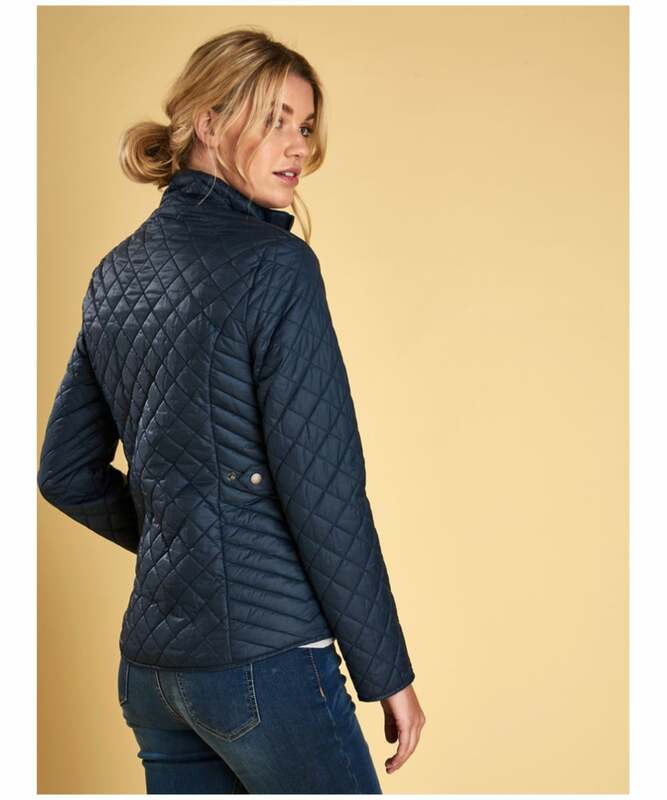 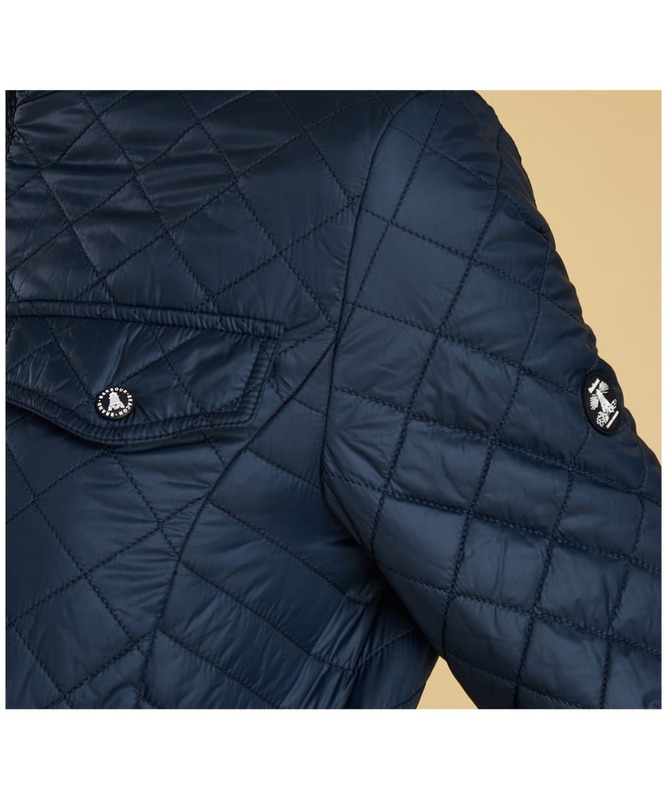 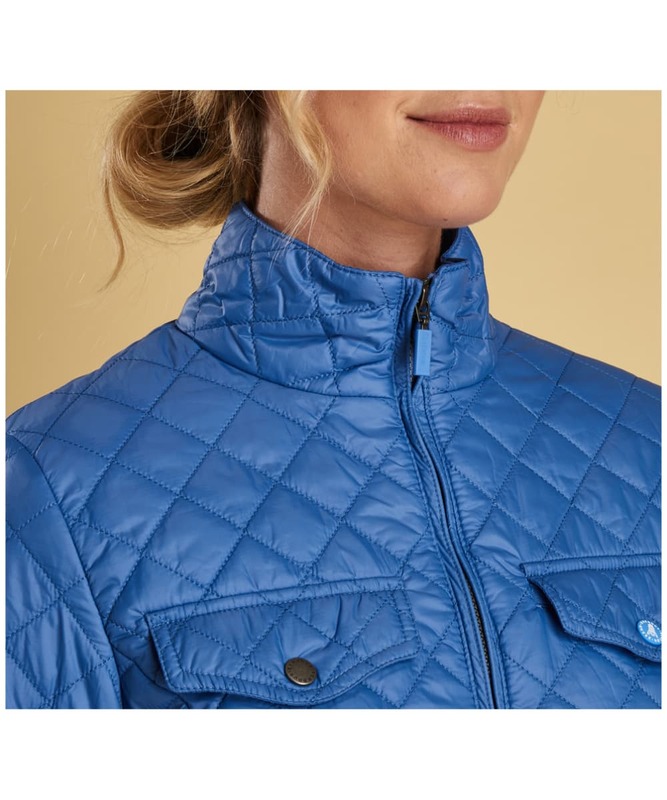 I did a research on Barbour jackets of this similar style (quilted utility) then order about 5-6 styles from various websites to try on and found Formby to be the best. 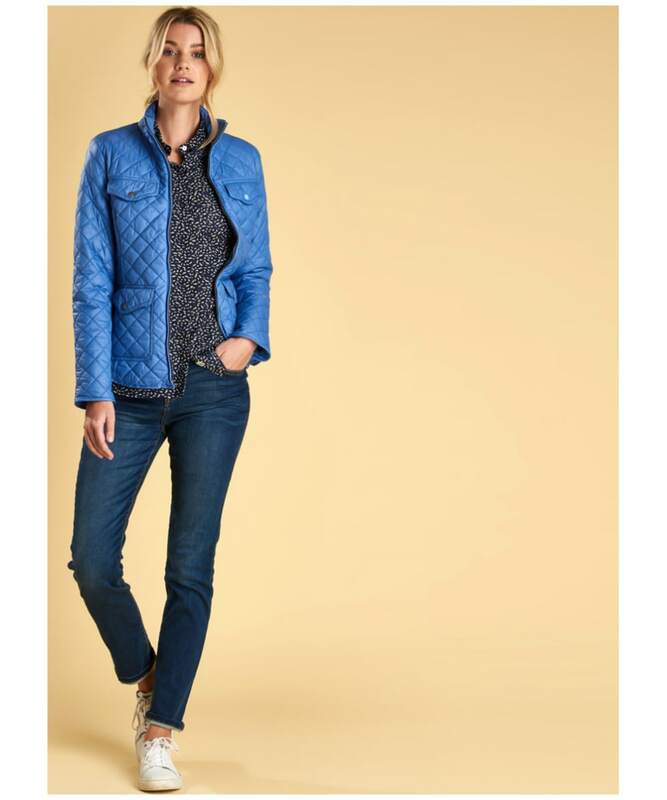 I’d call this semi-relaxed fit which I can wear upto a medium thick jumper underneath. 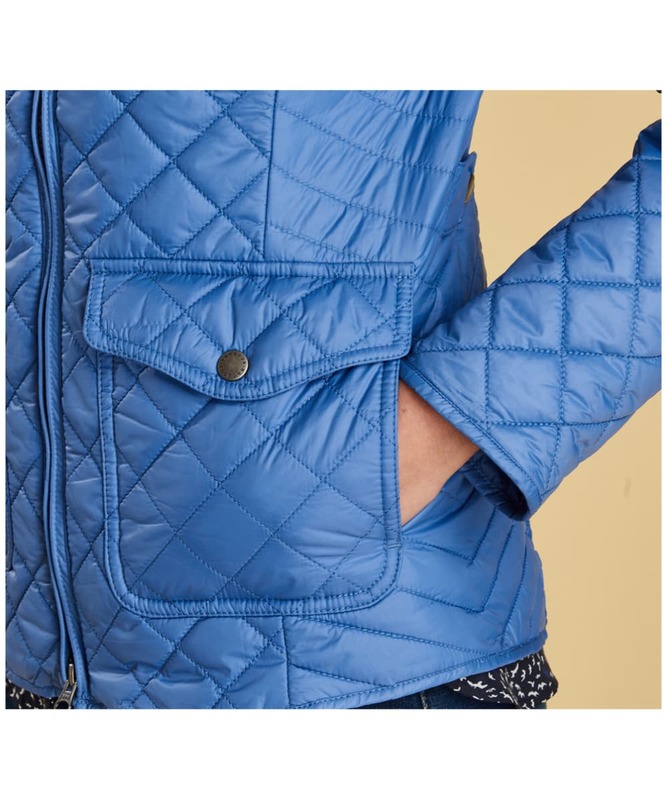 I brought with me on a trip, the vertical zip inner pocket is good for passport and other pockets for misc items. 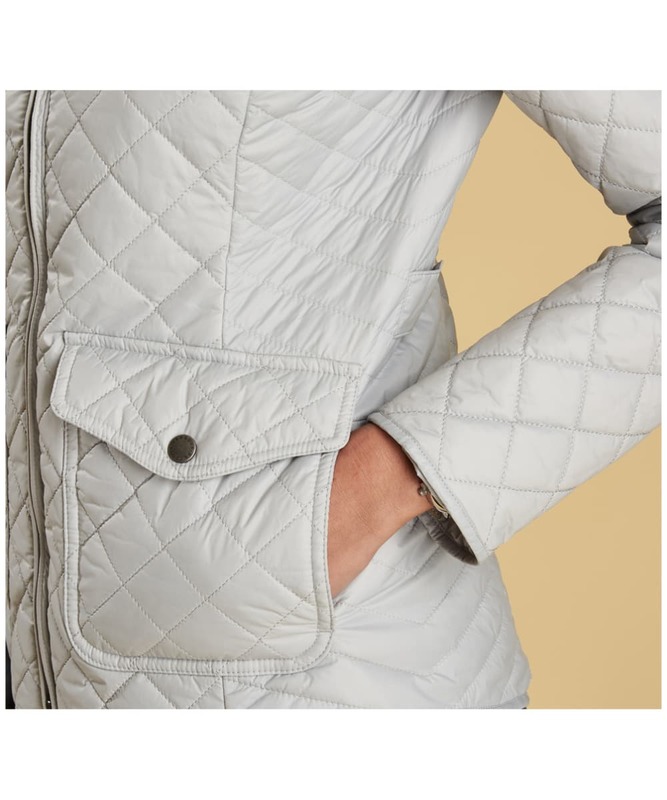 Good for transitional season (no jumper or very light jumper underneath required) and looks like it would cover mild winter days but I haven’t tried that yet. 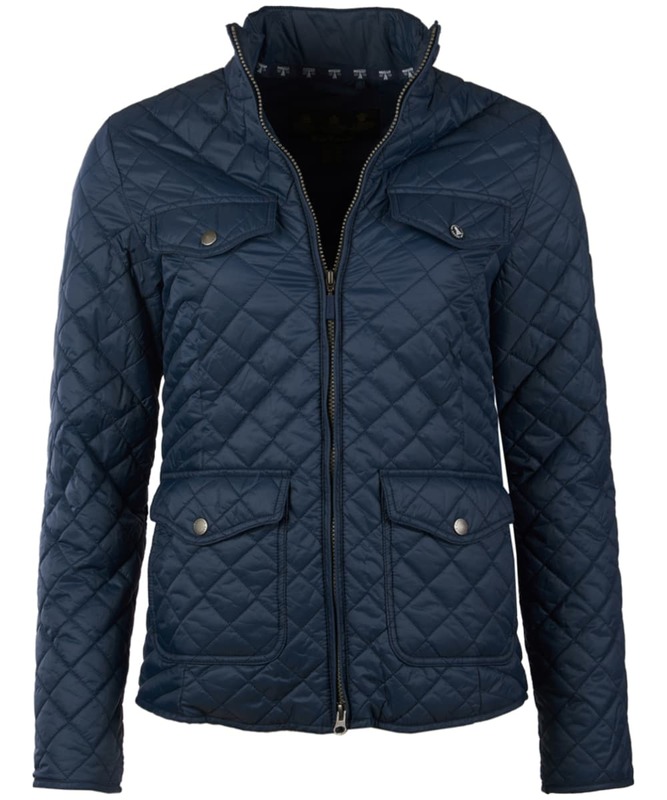 Good buy for my first Barbour jacket. 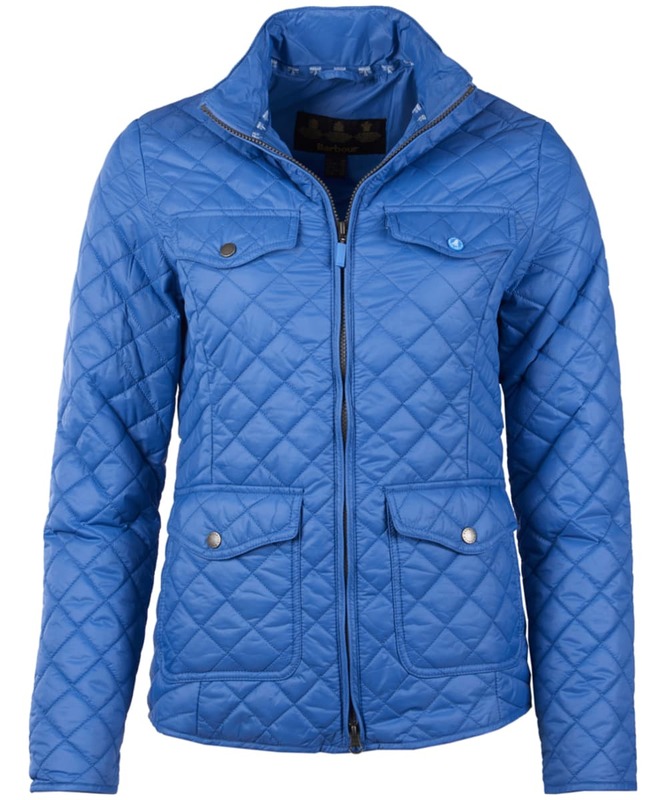 Rated 4 out of 5 by Samj73 from Small fit Love the jacket and looks good but glad I went for the size up as it’s quite a narrow fit! 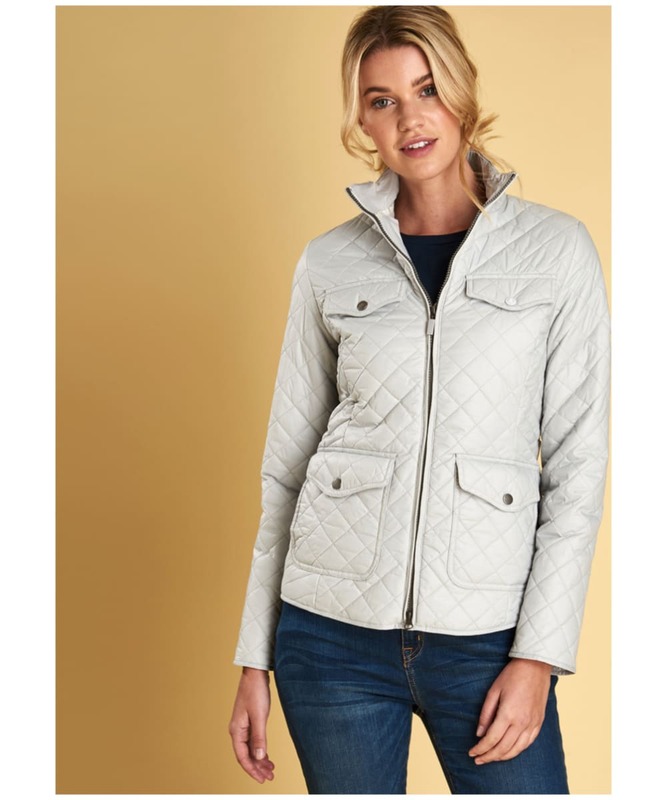 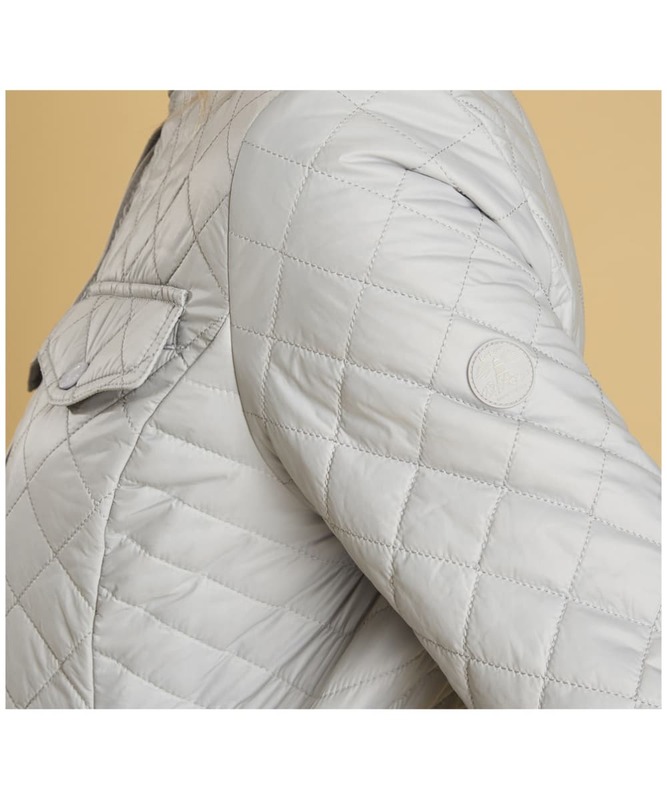 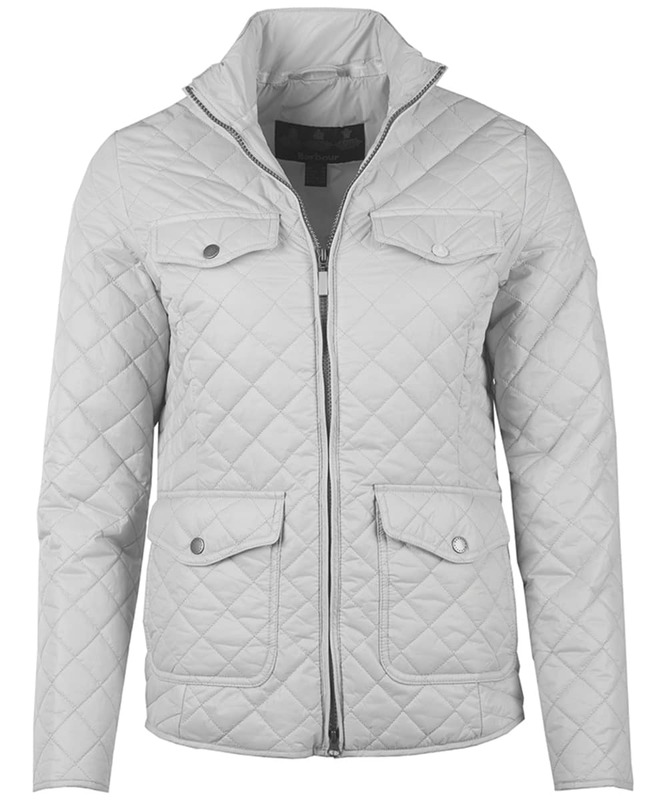 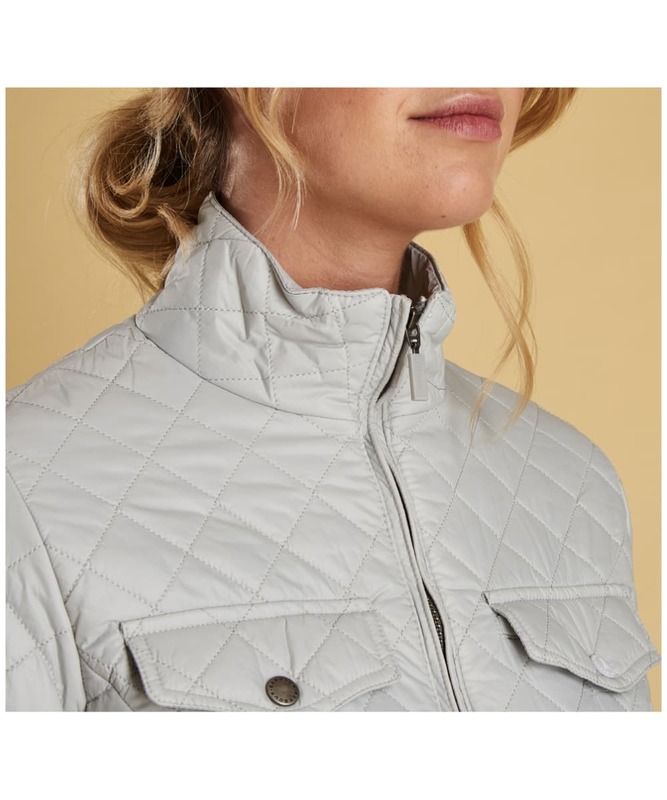 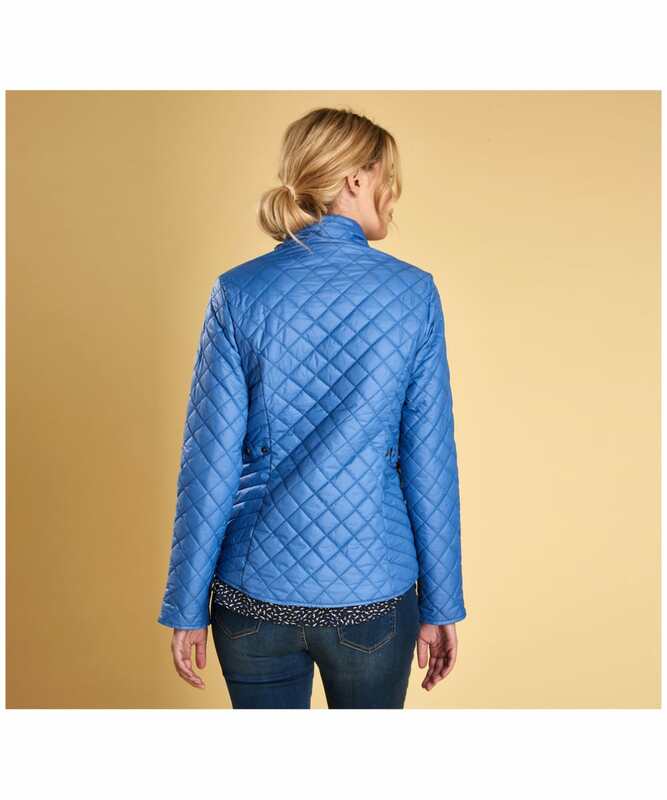 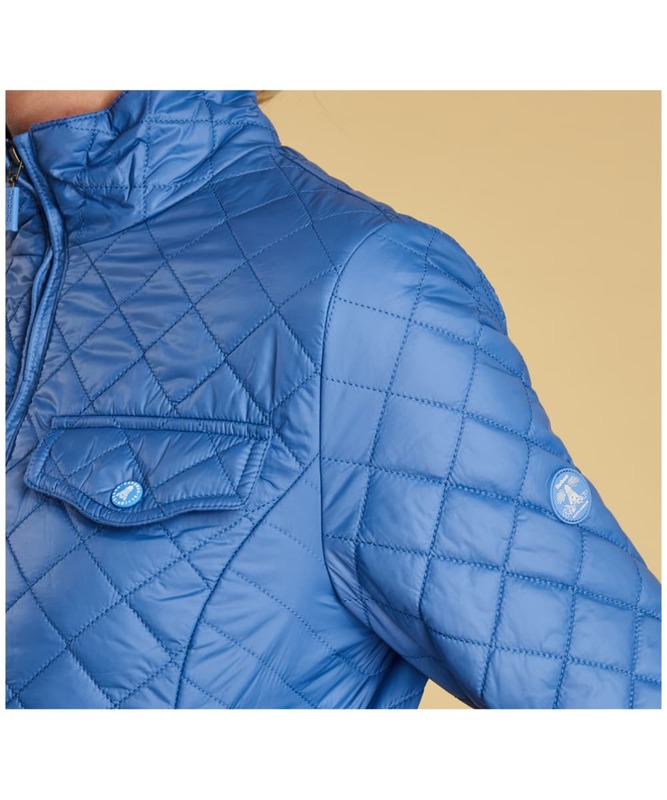 Women’s Barbour Formby Quilted Jacket - Ice White is rated 4.7 out of 5 by 3.